Six years ago the Detroit Institute of Arts (DIA) began a community outreach campaign to expand the awareness and appreciation of the museum with local residents. The DIA placed weather-proof, high-quality reproductions of artistic masterpieces from its collection outdoors in a few select cities within the three counties surrounding Detroit for people to enjoy. The goal of the displays was to bring the art IN its galleries OUT into communities for people who may not normally visit the downtown Detroit museum to enjoy. These representations were so accurate that police departments in these communities began to receive calls from concerned citizens that stolen artwork from the DIA may have been put up as a prank. Rave reviews from the public about the displays have made INSIDE/OUT an annual on-going program since its inception. The INSIDE / OUT program selects several local cities and townships each year to host these art displays. The nice thing about the program is that seven to twelve images are clustered within walking or bike-riding distance so you can have a fun family outing searching for the artwork and exploring the community where it has been placed. I've gone on an art hunt with my kids in at least one of the INSIDE/OUT communities hosting the displays each year since the program began. It is nice too that they've rotated the participating cities and townships during the life of the program so the displays aren't always hosted in the same places and new artwork is regularly introduced year to year keeping going on art hunts fun and exciting. Metro Detroit locations hosting INSIDE/OUT in 2016 include Eastern Market and the Dequindre Cut greenway trail in the City of Detroit, plus the communities of Hamtramck, Ecorse, New Baltimore, Pontiac, and Warren, among other locations. Because of the popularity of INSIDE/OUT the displays will also be included over the summer in three northern Michigan towns popular with summer vacationers -- Alpena, Traverse City and Mackinac Island. If you are planning on going on an Up North Michigan adventure this summer these INSIDE / OUT exhibits will be on display until September. I hadn't realized that the INSIDE / OUT artwork was going to be on display in Northern Michigan until we stumbled upon one of the portraits during a family trip to Mackinac Island while walking to our hotel. 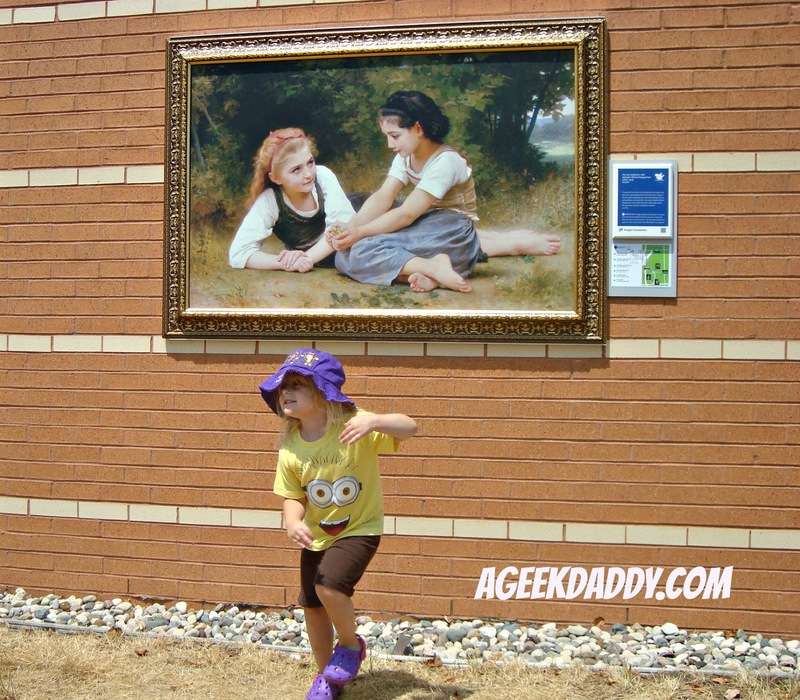 Because of our family's past art hunts we instantly associated it with being INSIDE/OUT artwork. Mackinac Island is known for prohibiting motor vehicles so walking, bike riding and horse drawn carriages are the primary means of getting around while visiting the Michigan state park which is filled with historical buildings, scenic landscapes, and lots of fudge shops and souvenir stands. 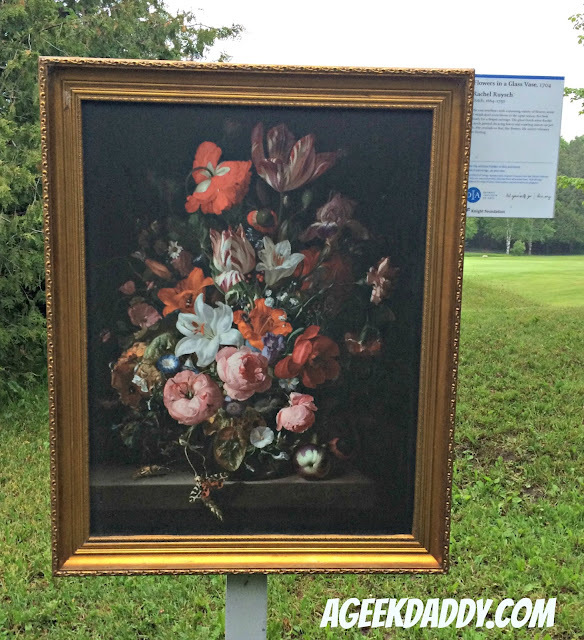 The INSIDE / OUT artwork is sprinkled throughout the island's downtown and the grounds of the historic Grand Hotel. 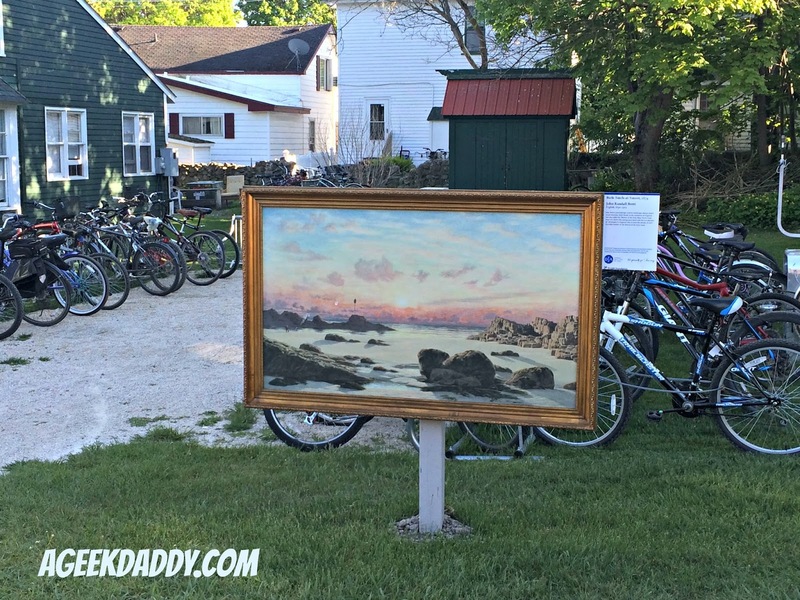 Some of the artwork really stands out along the island's thoroughfares while others are a bit more subdued so they are not so easy to discover without looking out for them. 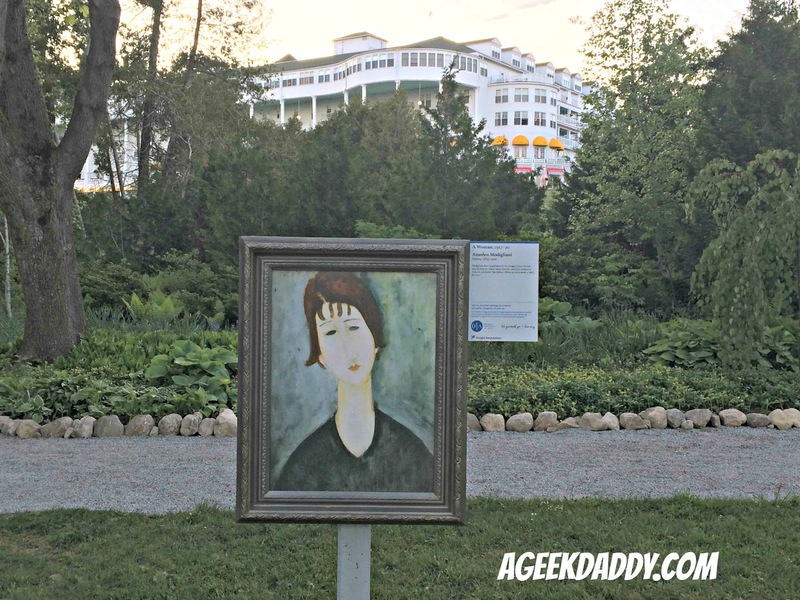 Of course we went on an art hunt to our Mackinac Island activities once we realized the DIA reproductions were there searching for all the INSIDE/OUT displays adding an extra element of fun to our trip. I've shared a few of the Mackinac Island INSIDE/OUT portraits we discovered. If you visit can you find them all? If so let us know! 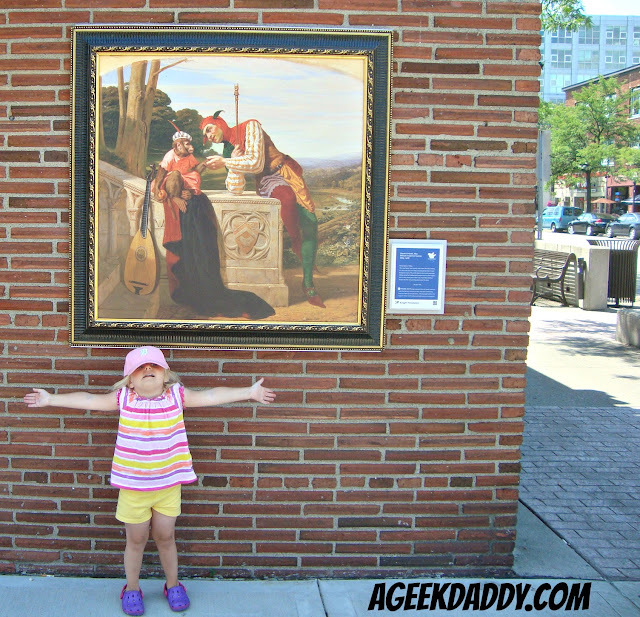 Plus if you make it to Alpena or Traverse City this summer, have some Pure Michigan fun and go on an art hunt! Of course we'd enjoy seeing your INSIDE/OUT art hunt photos. Please share your pictures by tweeting them to @Geekdad248 so we can share in your fun! If you are planning a Metro Detroit art hunt be aware that they switch up the locations and displays in August with the new exhibit locations staying up through October. Upcoming locations include Belleville (Wayne County), East English Village (Detroit), Beverly Hills (Oakland County) and Romeo (Macomb County). For more information, visit www.dia.org.